It has been my absolute pleasure to be the Gates PTA President for the last 2 years. Since 2011, I have held a variety of Gates PTA positions which gave me the opportunity to meet and work with many wonderful Gates parents, staff and students. My son is moving on to Los Alisos Intermediate in the Fall. I will take with me many fond memories and many lasting friendships. Thank you for giving me the opportunity to serve you. I am extremely grateful to my board and chairs comprised of 35 volunteers that helped make 2016-2017 another successful school year. Our successes are measured by all the programs, school support and gifts that Gates PTA provided this year. Huge thanks to Mrs. Estling for her constant guidance and all her support these past 2 years. If there was an Oscar award for the most dedicated PTA individual, it would go to my dear friend Dolores Wirth. In the past 9 years, she has been Treasurer, President 4 times, VP of Programs, Fundraising Chair, Spirit Wear Chair, Kids Run the OC Chair, Family Events Chair, Jogathon Chair, Daybreak with Dad Chair, Teacher/Staff Appreciation Chair, Variety Show Chair, Tile Fundraiser Chair, Chalkfest Chair, the constant organizer of PTA storage locations, the copy room bulletin board decorator, PTA cheerleader and so much more. She has been my guide and mentor all these years at Gates. Her youngest is moving on to Los Alisos. She leaves behind a legacy of a very organized PTA, many PTA Programs and has passed on the knowledge to those that will continue the PTA traditions. I am excited to pass the torch to Bobbie Cunningham, your new Gates PTA President. She has served the Gates community as the Art Masters and Variety Show Chair for 2 years, Secretary for Gates PTA and for A.L.L. and played a major role in the Jogathon Fundraiser this year. On a personal level, she is a graphic designer, actress, wife and mother of 3. Please support her as she takes on this huge role. 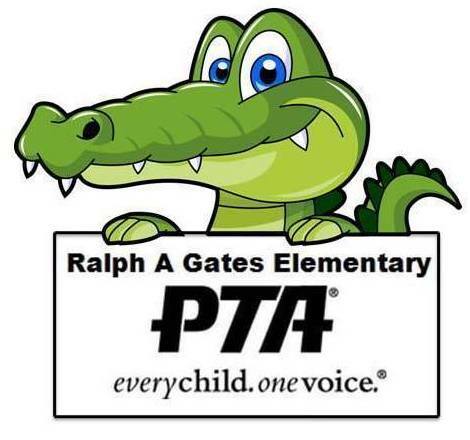 Gates PTA provides programs and school support for the Gates students, families and staff. It is a non-profit organization that is run by volunteers who chair programs, fundraisers, services, communications and board positions. Many of these volunteers are also employed and have families. As you come across one of these volunteers on campus, please thank them for their time. Programs and school support become a reality only with the time and dedication of the volunteers and the success of PTA fundraisers. There were 150 Kids Run the OC participants who did a fantastic job getting fit, took on the weekly nutrition challenges and completed their final mile at the Orange County Fairgrounds. Participants received a free event t-shirt, a finishing medal and certificate of completion. This is an incredible Program that could not happen without our dedicated parent and youth volunteers. Huge thanks to the Kids Run the OC Chair, Heath McMasters, who did a terrific job of running this PTA health and fitness program. Coaches - They conducted 10 practices to help the kids complete 26.2 miles worth of activity. Snack Duty Volunteers - each volunteer sliced 90-100 oranges and 30-40 bananas for all of the kids for each practice. This was the 13th Annual Astronomy Night. It was planned by Mark and Stefanie Nix and their committee consisting of: Mr. Hickson, Dolores Wirth, Acecy Buensuceco and Jennifer Hurtado. The last few years, the Astronomy posters like the snapshot above have been designed by our very own Henry Thomas, head of Gates TLC. We appreciate you Henry, you are so talented! This event drew a lot of by Gates families which is always so rewarding for the Chairs and committee members who plan it. Thank you to everyone who came out to see the stars with us. Well done Mark and Stefanie Nix!! Thank you for spearheading this Family Event Program for us and thank you to all of the volunteers that helped organize and run the event that evening! Final Art lesson #5 - Featured artist is Frank Lloyd Wright. Slide assemblies took students on an exciting tour of Frank Lloyd Wright's most famous buildings - inside and out. Students gained an understanding of the role of the architect in preserving the natural environment - and of organic architecture in America. One point perspective and template drawing techniques highlighted student studio art work. Thank you to Katie Ryan and Bobbie Cunningham for running this wonderful art program this year and to all of the parents who volunteered in the classrooms. The children love, love, love the Book Fairs and so do I. Thank you Brenda Thompson and Nancy Norris for chairing this wonderful Program for our children! This was a Buy One, Get One free (BOGO) book fair. Gates Elementary was awarded this 2nd book fair because the Fall Book Fair was so successful. There was a BOOK FEST on Tuesday evening, April 4 from 5:00 - 7:00 pm where children got to wear their pajamas and enjoy story time. Additionally, there were giveaways and raffles every 30 minutes with every $10 book purchased. Dolores Wirth and Rochelle Ferranto put on an incredible week for the Gates Staff and Teachers from the office and lounge decorations, to daily food treats, to the international themed luncheon comprised of food from Japan, Italy, Argentina and France. The front lawn was decorated with beautiful large posters that transported the teachers and staff to different parts of the world. Special thanks to Pamela Mammen who coordinated the Teacher/Staff Appreciation posters and to all of the parents that donated food and volunteered during the week. Victor Solis did a wonderful job organizing this Program for our Gators and their moms. There was a huge turnout of moms that enjoyed the mariachi music, mariachi photo opp and food with their children. Thank you to the volunteer dads that helped and to everyone that donated food items: James Thompson, Eric Kaneshiro, Eddie Hooes, Mark Nix, Percy Torres, Matt McCarthy and Frank Yannarella (not pictured). Bobbie Cunningham and Olivia Renella did a marvelous job with organizing this Program that let our kids showcase their talents. There were 22 Acts consisting of dances, stand up comedy, singing, a martial arts demo, piano playing, skits, a monologue and a finale put on by the PTA themed the "Viral Zone." What a fun night out! Thank you to Bobbie, Olivia and parents that helped set up, clean up and worked the concession stand. Carey Yannarella put on a feast for our Gators and their dads. Huge thanks to Dolores Wirth, Nancy Norris, Brenda Thompson, Frank Yannarella's parents and all those that I did not mention for making this a wonderful bonding event for our Gators and their dads. Congratulations to our Gates Dads of the Year!! They were awarded a "Gates Dad of the Year" baseball cap. At very many events throughout the years at Gates Elementary Heath and Eric have been there and continually gone out of their way to volunteer their time. Special Shout Out to Bernice Chen and her daughter Isabella. They created many of the beautiful publicity posters around campus for the many PTA events. Thank you, thank you, thank you. You are both so creative and make such an awesome team. Mark and Stefani Nix, Family Events Chairs and their committee did such an awesome job with the Camp Out. I was one of the lucky 200 campers that got to participate along with my family. It was such a fun and relaxing evening with a super organized check in, games run by Kids Factory including soccer, a yummy dinner of hot dogs and burgers cooked and served by parent volunteers, tent constructing with the Boy Scouts who assisted whenever needed, fun guitar camp songs played and sung by a trio of dads (James Thompson, Phil Schnell and Nate Camuti) who did such an awesome job, a flashlight walk with a tale aboutWhy the Wolf Howls at the Moon shared by Mr. Hickson and recounted by Victor Solis ending the evening with tasty S'mores and breakfast the following morning. All through the night, a security guard was on duty to keep us all feeling safe and secure while we slept. On Saturday morning, many families shared that they really enjoyed the event and hoped that it would happen again the following year. Great, great job Mark and Stefanie!!! Bethany Ayala, Jogathon Chair, and her committee of Dolores Wirth, Bobbie Cunningham and others I did not name did a fantastic job coordinating the biggest fundraiser of the year. Special thanks to all of YOU Gator families for participating. It is this fundraiser, the catalog fundraiser and other fundraisers throughout the year that pay for PTA programs like: Art Masters, Kids Run the OC Marathon, Assemblies, the Variety Show, Family Fun Events (Astronomy Night, Movie Night, Camp Out), Teacher/Staff Appreciation, Mariachi's with Mom, Daybreak with Dad and Book Fairs. Funds raised also provides school support for Emergency Preparedness and Field Trips for Kinder to 6th Grade. Our goal was $20,000 and we raised $15,400.00. Huge thanks to all of our Gator families! Thank you to Sonia Maceranka, Dine Out Chair, for booking this fundraiser for us . Flippin' Pizza gave 50% of sales to Gates. The families that participated raised $370.00 for Gates. Thank you to the families that dined with us. This fundraiser was last held in 2009. Thank you to Dolores Wirth for stepping up to run it for us this year. Net of expenses $1,700.00 was raised. There are so many beautiful tiles painted this year. The school district will mount the tiles for us on the brick wall near the lunch tables but the exact date has not been provided. The goal is to have the new tile wall up by the start of the new school year. This fundraiser took many hours to get completed. Dolores did an awesome job! Thank you!!! Thank you Sonia Maceranka, Dine Out Chair, for booking the Cafe Rio fundraiser for us . Cafe Rio gave 20% of sales to Gates. Tremendous thanks to the families that participated. They raised $139.37 for Gates. Special Shout Out to Ryan Zinn, PTA Grant Writer Chair. He applied for a Healthy Lifestyle Grant offered through California State PTA and Gates PTA was awarded $600.00. Huge thanks to Ryan for obtaining this grant. The funds were used to purchase additional equipment for the Kids Run the OC Program. Thank you Lori Hall, Box Tops Chair, for running this fundraiser. Two collections are done per year and for this last collection, Gates PTA will receive a check totaling $401.30. Thank you to all of the families that cut out and collected their Box Tops. Congratulations to Srta. Davalo's class for winning the Box Tops trophy for 2016-2017! Her students turned in the most amount of Box Tops this school year. Thank you Mark and Stefanie Nix for running this fundraiser and to the families that participated. $544.00 was raised. $5,000.00 towards an electronic marquee to replace the existing one. Mariner's Church will contribute the balance of the total cost and SVUSD will install the necessary electrical needed with no additional cost.